A recent Disney Parks Blog article announced the arrival of 6 new Star Wars pressed penny designs available at Disneyland, and it jogged my memory about a super easy Star Wars accessory I made last year. The low-cost souvenir pressed pennies can be used to create fun accessories – from simple coin holder styles, to beaded charm bracelets, there is a great range of creative options for turning your mementos into jewelry! During my trip to Disneyland last year, I spotted a few people wearing silicone penny holder wristbands, and I searched online for more information when I returned home. I found the brand PennyBandz, which can ship internationally – spend over US$10, and worldwide shipping is free! 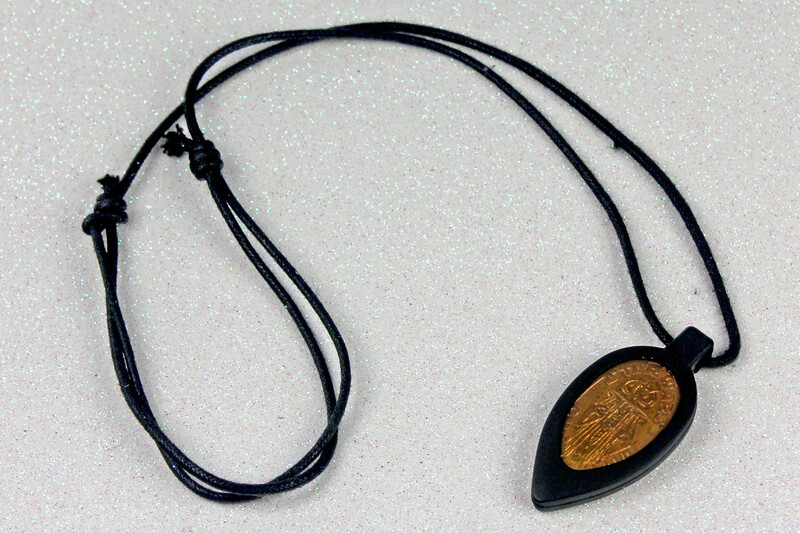 There is a wide variety of colours to choose from – I choose the black pendant necklace. There are now 6 new Star Wars pressed penny designs available at Disneyland – Rey, Chewbacca, Rebel Forces, Kylo Ren, Captain Phasma, and First Order. You can read the Disney Parks Blogs announcement article here, and check out Park Pennies for great photos of the front and back of all 6 designs. If you don’t live near a Disney Park, there are many Star Wars pressed coins available on eBay – Star Wars elongated coins or Star Wars pressed penny. I bought this Queen Amidala pressed penny from eBay some time ago (for my Queen Amidala collection) – it is still available, priced at US$1.50 each. Here’s how I turned my Queen Amidala pressed penny into a necklace. 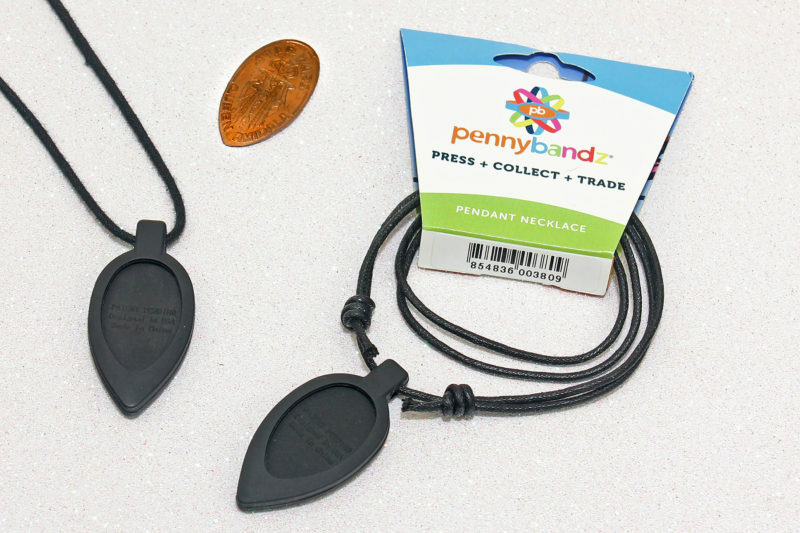 In one of the simplest DIY steps ever, you just push the coin into the PennyBandz silicone holder, and you’re done! 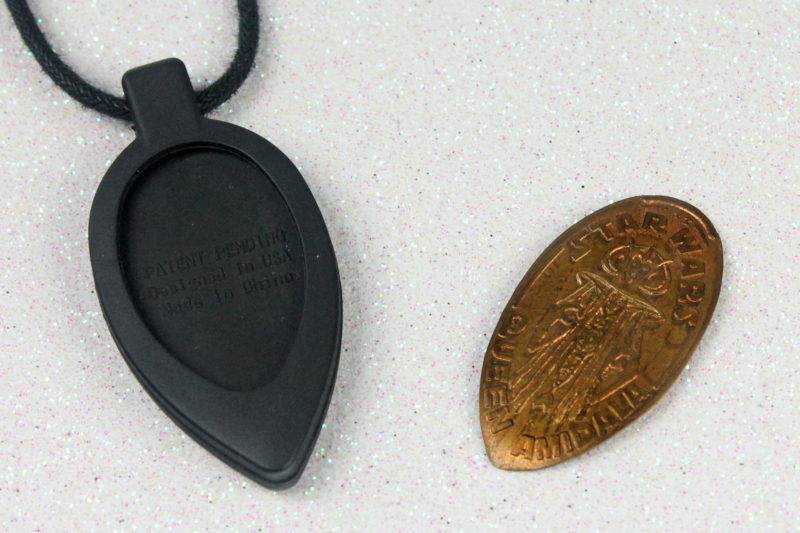 The pendant holder has a rim that holds the coin in place, and just like that you have a Star Wars accessory. 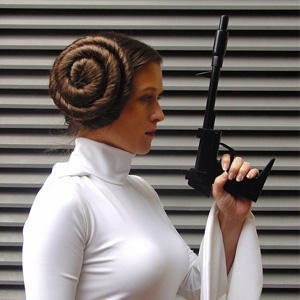 The simple design turned my little collectable into something wearable – and it features Queen Amidala! 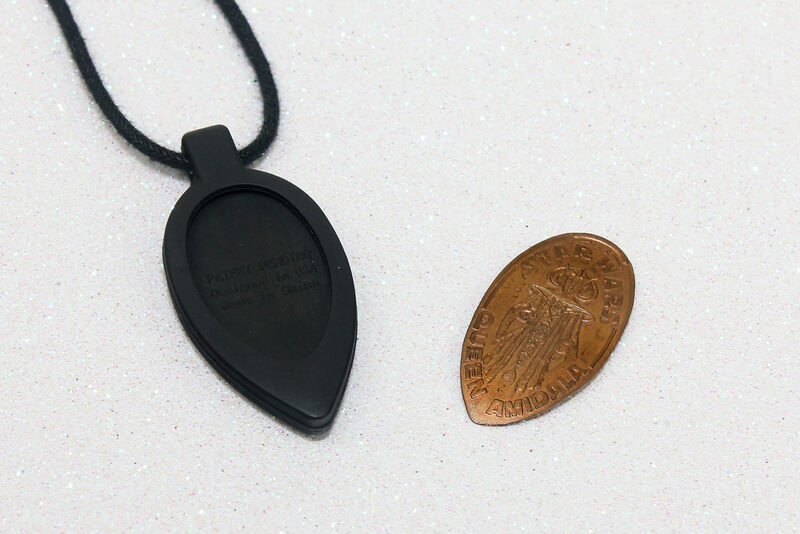 The silicone holder allows you to swap coins in and out, so they are not damaged or permanently altered. If you’re looking for more inspiration for using Star Wars pressed pennies to create accessories, check out this search on Etsy for penny bracelets. Punching 1 or 2 holes in the coin allows you to attach it to standard jewelry fittings, so you can create a wide variety of styles. What I love about this idea is that you can turn a low-cost souvenir into a wearable item, customising it to suit your style. I particularly like the ‘Alex And Ani’ style of expandable bracelets (like these) – the pressed penny works really well as a charm, and you can add additional accents like coordinating beads. You can also hang coins from necklaces, turn 2 matching coins into dangle earrings – so many creative options! Next Post The Kessel Runway Facebook group!